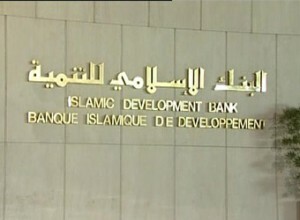 Islamic Development Bank (IDB) Group and Kazakhstan have signed a US$2 billion framework agreement aimed at enhancing their cooperation within the next three years (2015-2017). The agreement follows a similar 2012-2014 partnership document signed earlier between the two sides for bringing sustainable and comprehensive development to Kazakhstan in all sectors. Kazakhstan’s income per capita is expected to reach US$ 16,000 by 2015, according Ahmad Mohamed Ali, Chairman of IDB, who emphasised that “global stability will not prevail as long as about one third of the world population are poor and left without proper nutrition and housing, and as long as unemployment figures are soaring, among the youth and women in particular.” The chairman of IDB made his remarks in his keynote speech at the 7th Astana International Economic Forum on Friday, before he signed the agreement with Kazakhstan’s Prime Minister, Karim Massimov. Since joining IDB in 1995, Kazakhstan has received US$ 1.2 billion in funds from the bank for 22 development projects in sectors such as agriculture, education, roads, water supply and foreign trade.Inaugurated by Kazakhstan’s President, Nursultan Nazarbayev, the three-day forum was inaugurated coincided with the fourth meeting of the economy and finance ministers of the Economic Cooperation Organisation (ECO) in Astana, and brought together some 10,000 participants representing 130 countries and a large number of regional and international multilateral development institutions.